The Hyde Park First Christian Church, organized in 1900, constructed its sanctuary in the Classical Revival style in 1927. The building has been preserved and the interiors maintain the buildings original decorative features, including the stained glass windows. The building’s front entrance stairs were redesigned when Hyde Park Avenue was widened to permit the construction of the Davis Islands Bridge. 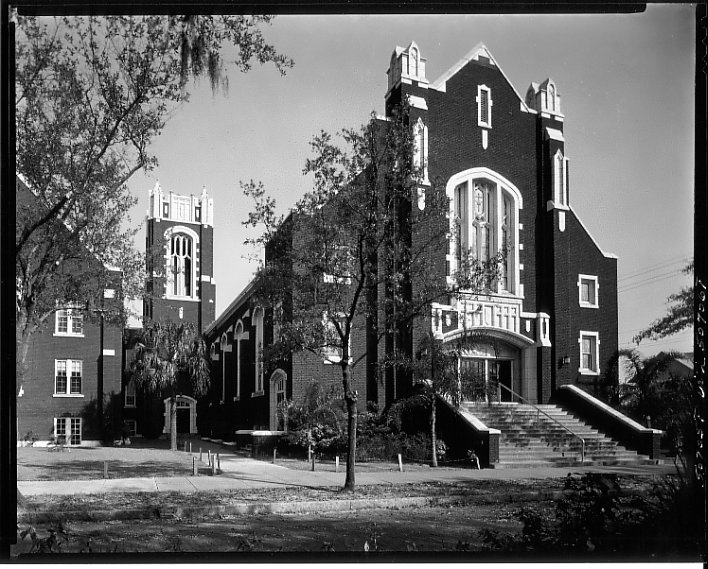 The church maintained a prominent presence until the spring of 2009, when the congregation held its last service. In October 2009, the Holy Trinity Presbyterian Church, the current occupant of the building, held its first service in the sanctuary.